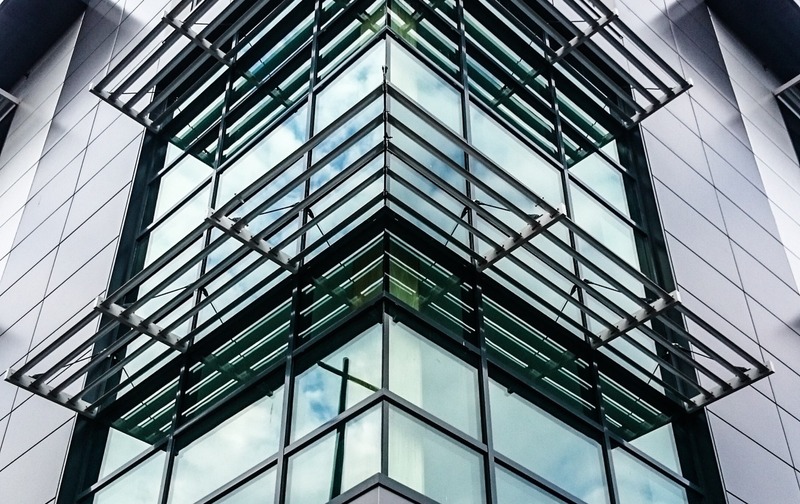 Modern architecture is particularly concerned with the concepts of energy saving, sustainability and the greenhouse effect. 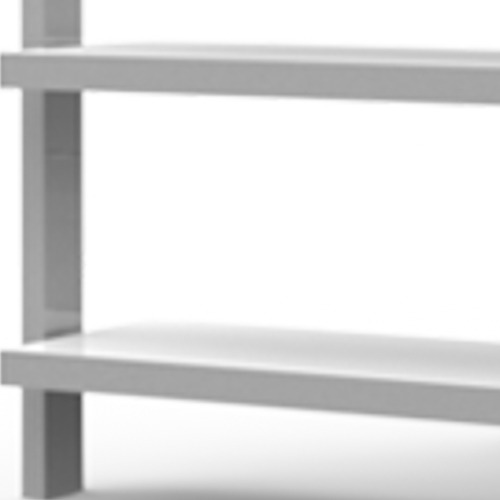 These must be considered in any new build or renovation project. 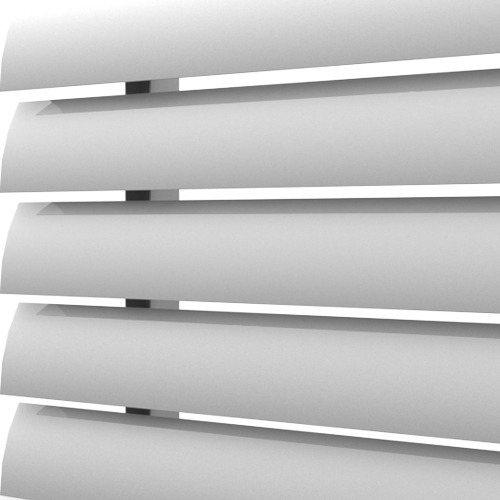 These demands are intimately linked to components for protecting against the sun such as louvers. 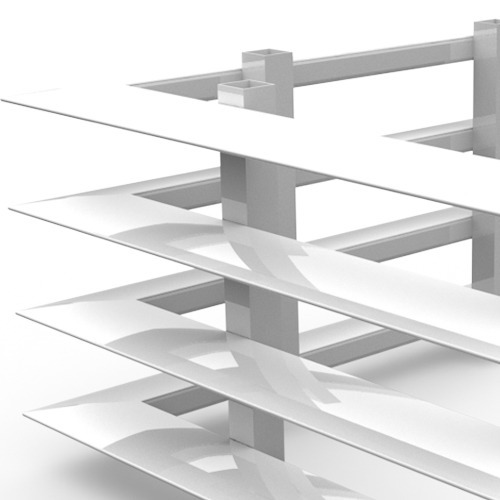 Our louvers provide high aesthetic appeal to buildings through the use of different shapes and dimensions, with fixed and mobile slats that can be either manual or motorised. 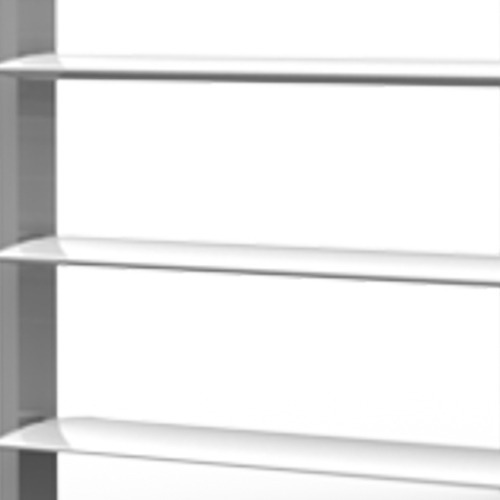 Birkdale offers a wide range of options to provide a tailor-made solution for every project. 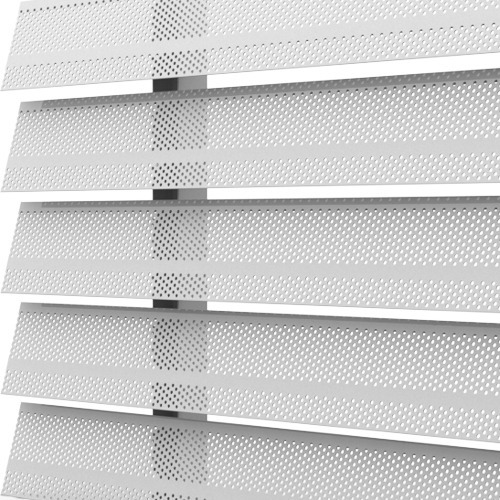 All our slats act as a barrier against the action of solar radiation, protecting the occupants of buildings and offering total guarantee in their use. 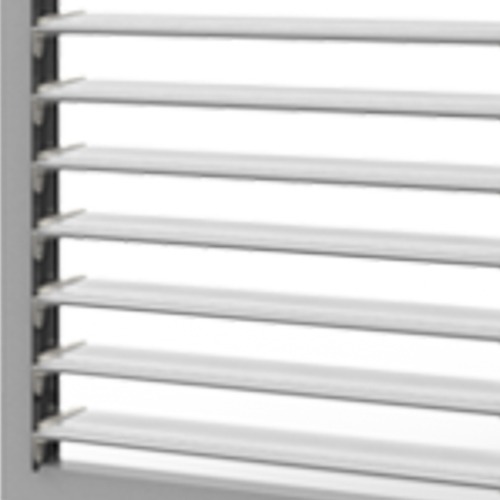 Whether mobile and fixed, the movement and separation between the slats can be controlled and so the entry of light and ventilation..
Our louvers enable redirection of natural light, therefore reducing the need for artificial lighting, helping to control heat flow and reducing energy consumption. Energy saving contributes to sustainability, fundamental concepts in modern architecture. These are promoted by many organisations and government bodies. 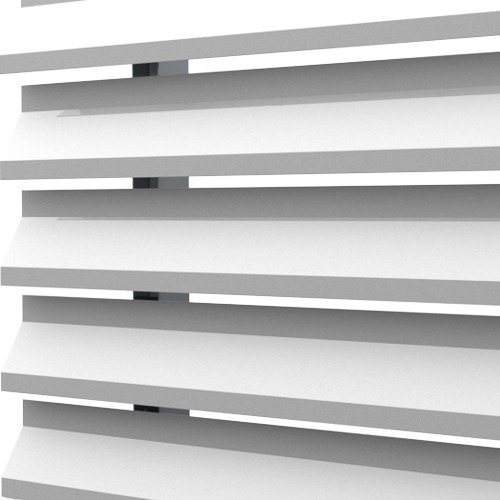 Our louvers play a major part on façades, providing high aesthetic appeal to buildings, enabling architects and designers to enrich and enhance their projects with different shapes, colours and finishes. 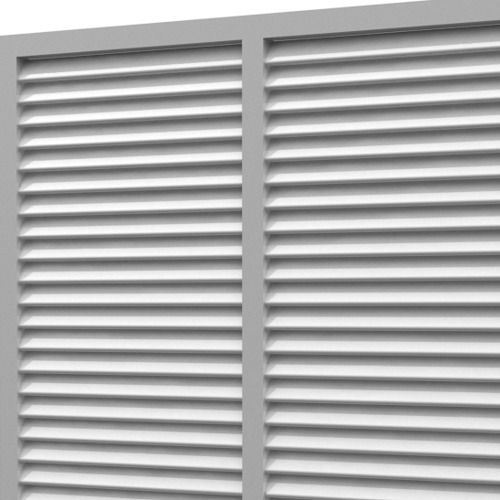 Installing louvers with slats considerably reduces ambient noise, especially in towns, increasing the feeling of wellbeing of the occupants of the buildings. 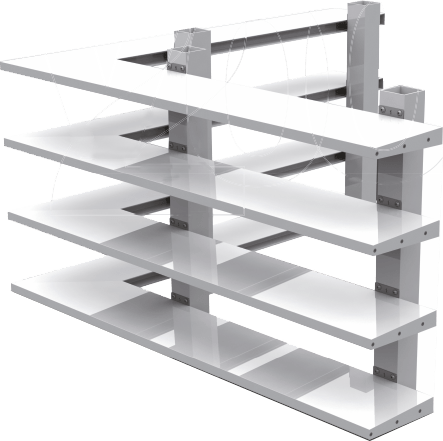 The act as a barrier against prying eyes but at the same time allow ventilation of the room when desired, varying the angle or separation between slats in the case of fixed louvers or by opening the slats in the case of mobile louvers. 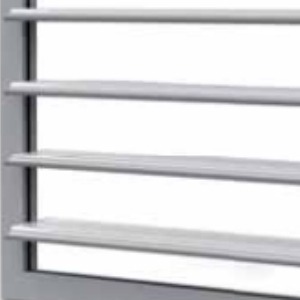 Our louvers are available in two types. 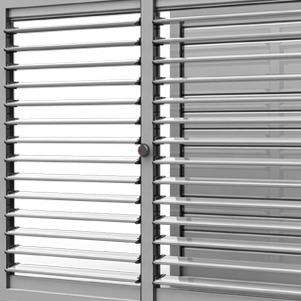 Fixed slat louvers are structures made up by a series of vertical profiles to which various models of slats can be anchored horizontally. 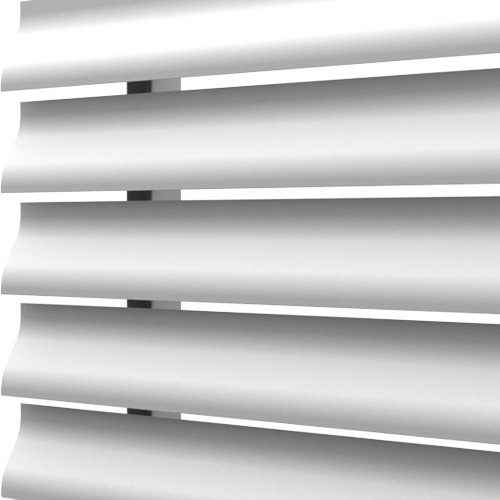 This type of covering provides the building or home with thermal insulation, energy saving and sunlight control, reducing acoustic pollution, preventing prying eyes and minimising entry of rain. 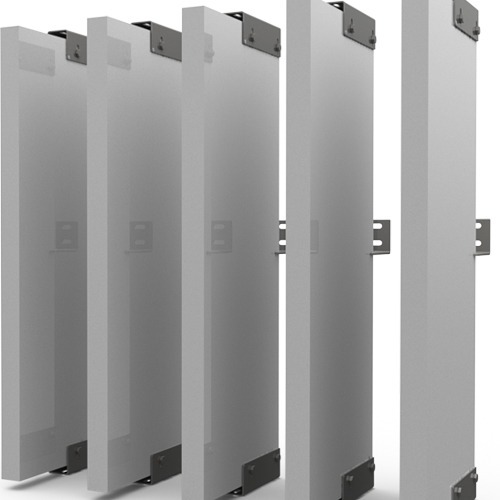 Birkdale Manufacturing Group Ltd. offers a multitude of profiles, in extruded aluminium and also the option of PVC. 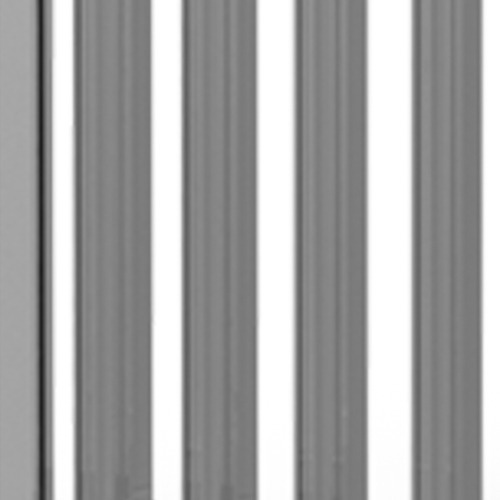 The slats can be installed in various ways, changing the angle or the spacing between them. 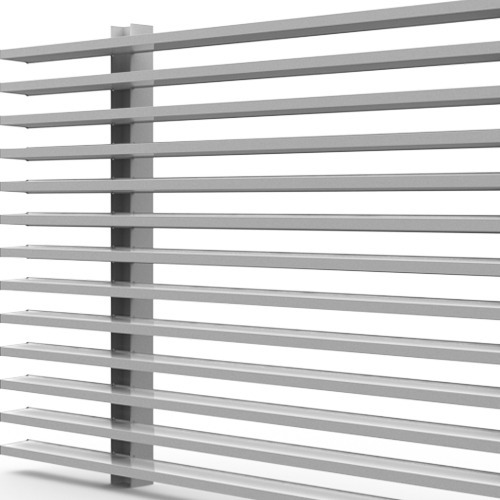 Being able to redirect natural light by the use of mobile slats on façades helps reduce the use of artificial lighting. 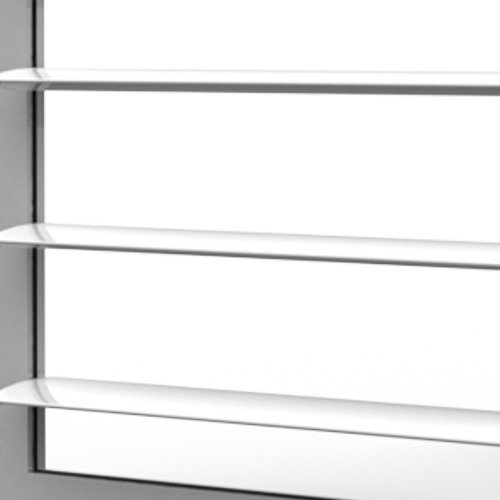 It contributes to controlling heat flow and reducing energy consumption leading to sustainable architecture. 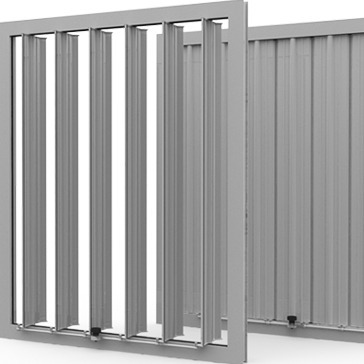 Our range of mobile slat louvers in extruded aluminium (some models also in PVC) can be used to cover openings of various sizes, enabling dynamic and personalised designs through the use of different installation options; horizontal, vertical or a combination of fixed and mobile slats. See more detailed information about Opening Systems. See more detailed information about Fixing Systems.